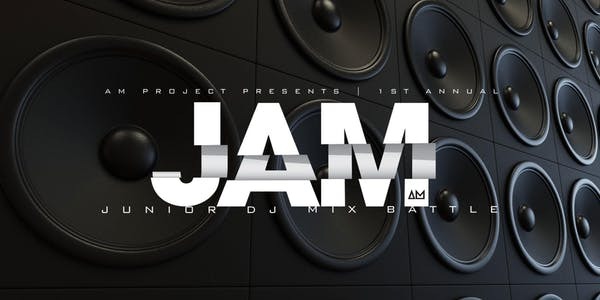 The AM Project’s 1st Annual JAM aims to showcase the talent of youth DJs ages 17 and under. JAM is a solo, head to head, 1 round, 4 minute set competition. DJs will showcase what they do best – mix or scratch plus getting the crowd hyped! Each DJ will perform a 4 minute set. Once all DJs have performed the panel of music industry professionals will vote for 1st, 2nd, and 3rd place. In the event of a tie, DJs will perform an additional, unique, 2-minute set to battle for their spot in the top 3.